Join the West Tampa Chamber for our Monthly Lunch Event. This month's speaker is Tampa native, Francisco Sanchez, Chairman of CNS Global Advisors. 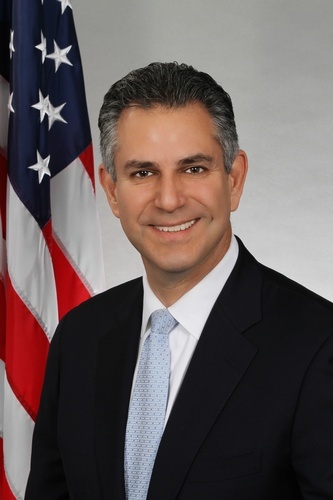 Mr. Sanchez has served as the US Under Secretary of Transportation, and the US Under Secretary of Commerce. Sanchez is currently the Chairman of CNS Global Advisors, providing strategic advice to companies looking to expand in or resolve issues in foreign markets. Mr. Sanchez also serves as a Senior Managing Director for Pt Capital, an Alaska-based private equity firm concentrating on investment opportunities in the Arctic. He is a member of the Hillsborough High School Hall of Fame and an expert on International Trade and Commerce. Feature Sponsors (only 2 available) - $150 - Perks include reserved seating, 2 minutes to address the guests, display table for your business and 1 lunch ticket. WTC Member Showcase Display Tables (only 4 Available) - $40 - Perks include display table for your business and 1 lunch ticket. Program concludes at 1:00 p.m.
All Walk-Ins - $35 at the Door pending available seating. All reservations must be paid in advance online by credit/debit card by the Noon, Friday, June 15th deadline or received at the Chamber P. O. Box no later than Wednesday, June 13th. NO EXCEPTIONS. Attention Platinum, Gold and Yearly Prepaid Lunch Members! - No need to register. You are already registered and will receive an email confirmation. If you need to cancel your reservation, please email Admin@WestTampaChamber.com. No cancellations/refunds after the Friday cutoff. Unpaid no-shows will be invoiced at the Walk-In rate.